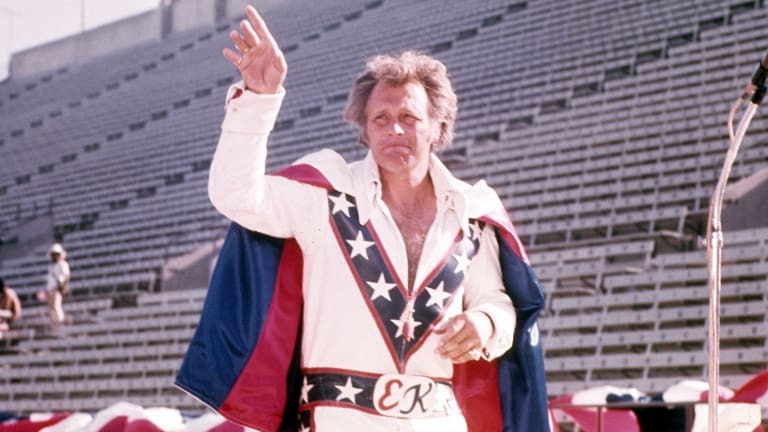 Evel Knievel's Last Jump: What Made Him Finally Quit? Knievel’s last leap in the spotlight was a Jaws-inspired gimmick that would help spawn the phrase “jumping the shark,” implying that somebody’s or something’s best days are behind them. Daredevil motorcyclist Evel Knievel, the godfather of extreme sports, struggled for much of his career with an internal conflict: staying rich and famous versus staying alive. If his legacy could be rewritten, his successful, record-breaking jump at Ohio’s Kings Island amusement park in October 1975—over 14 Greyhound buses and 133 feet—would have been a more dignified climax to his legendary career as a daredevil. “I really wanted to quit then. It was the first jump that I made that was successful where I thought, ‘Yeah, I might hang it up—I did this.’ But of course, I went on from there,” said the stunt star (whose real name was Robert Craig Knievel) in Stuart Barker’s book Life of Evel. Instead, Knievel’s last leap in the spotlight was a Jaws-inspired gimmick that would help—along with the Fonz—spawn the phrase “jumping the shark,” implying that somebody’s or something’s best days are behind them. The problem for Knievel was that his dramatic crashes were what elevated him to his status as the world’s greatest stuntman. 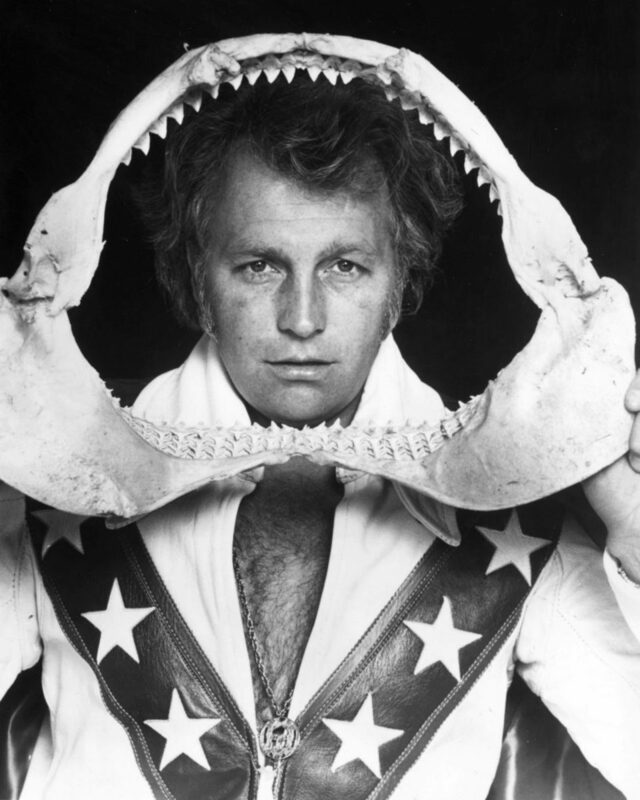 The 38-year-old Knievel may have been on the downside of his career before his attempted leap over “the world’s largest indoor saltwater pool, which will be filled with man-eating killer sharks,” as the press release read. But he was still a major star when CBS approached him about a new live, primetime series to be called “Evel Knievel’s Death Defiers.” His jump, to take place at the Chicago International Amphitheatre on January 31, 1977, would be the main event of the much-hyped pilot episode that would also include other daredevil acts. While Knievel and the show’s promoters played up the dangerous aspects of the jump, in the end, the distance to clear the tank was only 64 feet, which for Knievel was not a challenge. The sharks would also pose little threat. Jerry Clay, the man in charge of supplying them for the show, told The New York Times one week prior to the event: “If he should fall in, he’d spook those animals right out of the pool.” Clay was in Florida rounding up lemon and blue sharks, none that resembled the villainous Great White in Jaws. Contrary to his fearless reputation, Knievel had become more cautious of late and attempted to remove risk from his stunts, particularly after a horrendous crash at Wembley Stadium on May 26, 1975 that prompted this dramatic announcement: “I’ve got to tell you that you are the last people in the world who will ever see me jump because I will never, ever, ever jump again. I am through,” Knievel told the crowd after he had failed to clear the last of 13 buses in his path. Despite breaking a hand, fracturing two vertebrae and his left pelvis, Knievel changed his mind about retirement three days later. But he would approach his next stunt at Kings Island with uncharacteristic caution. 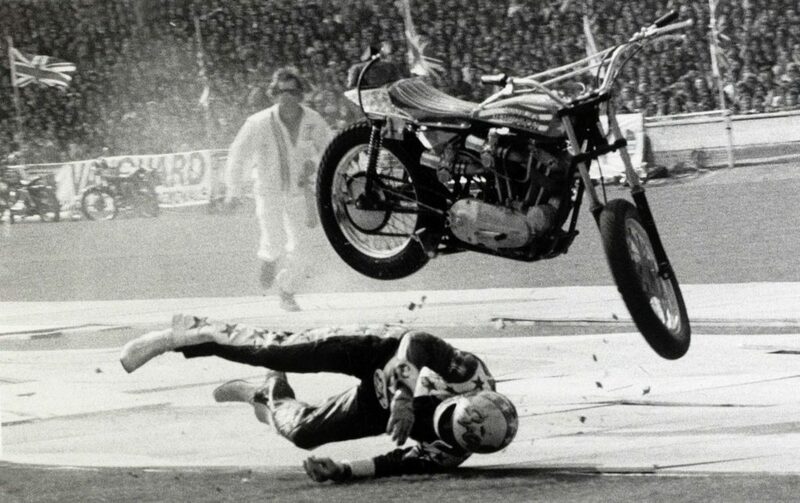 Knievel, on edge and still battered from the Wembley crash, completed the jump to near perfection. 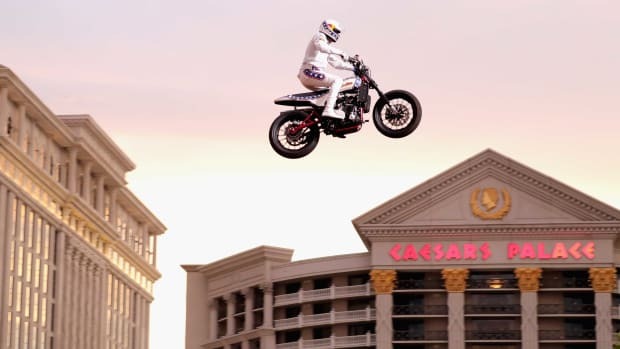 Afterward, he told the crowd, “I am going to continue to perform around the world with my two sons, but I have jumped far enough.” Knievel did continue performing, but audiences showed little interest in his more predictable jumps. 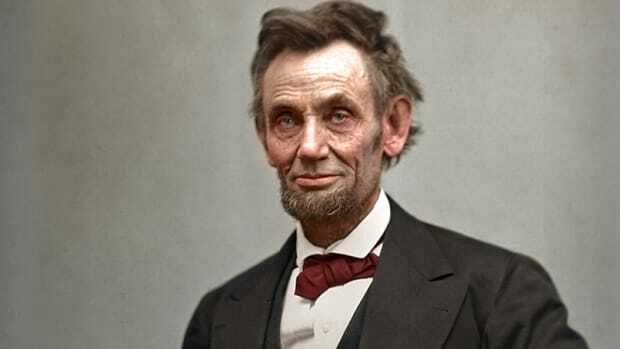 Meanwhile, he was still living like he was one of the world’s wealthiest celebrities. “He spent money faster than he could earn it,” Barker says. The shark stunt seemed like a good compromise: If promoted properly, it would keep audiences engaged while being, in theory, less risky. But during a practice run for the jump, Knievel, who cleared the tank with ease, landed awkwardly and crashed hard, taking down a cameraman in the process. Contrary to some widely disseminated accounts, the cameraman did not lose an eye in the wreck. 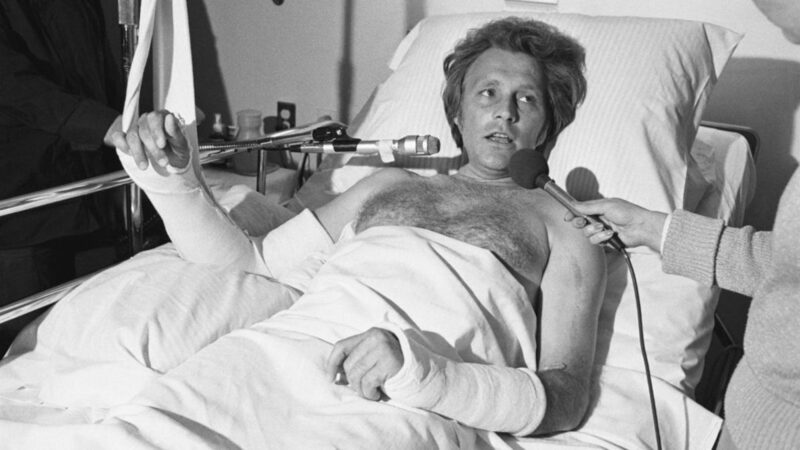 Knievel, though, broke his right forearm and left collarbone. 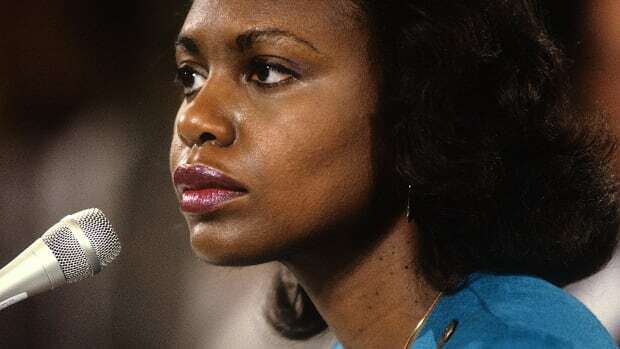 The live show went on without him, and while he did interview segments from his Chicago hospital bed and the practice run was shown repeatedly during the broadcast, audiences were not impressed by the lackluster supporting acts, many of whom botched their own stunts. The program was also plagued with production issues. As for the 12 “man-eating” sharks that made it to Chicago? They fared none too better. One died before the jump. They were also sedated as an added precautionary measure, and five more would perish before they were relocated to an aquarium in Boston. 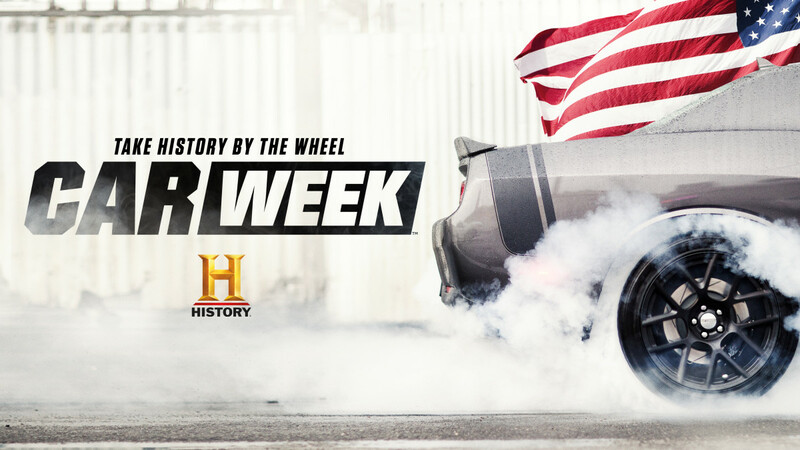 Watch all fast cars, groundbreaking stunts and exciting history as part of Car Week now! 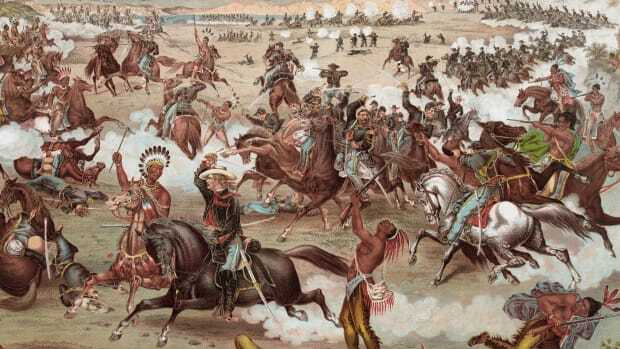 What Really Happened at Custer’s Last Stand? 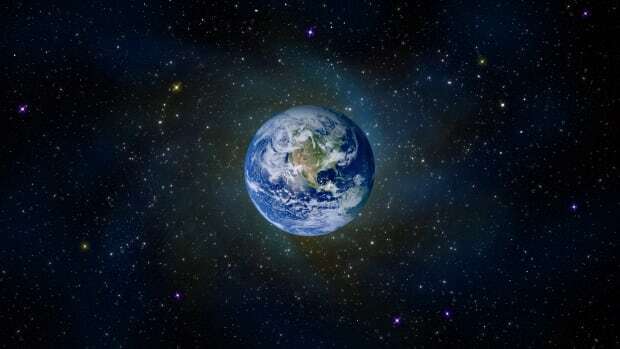 What Is Earth Really Made Of?